The one policy action that would do the most to accelerate African development is connecting the unconnected. What do Africa’s policymakers know about 5G? They know a deep reserve of calm is required to negotiate with international technology companies whose enthusiasm, ambition, and almighty self-belief makes them irresistible and exhausting all at once. They know to smile bravely as they are (again) reminded that only one in five Africans has access to the internet. They know about that infamous divide which reduces economic growth and curtails the developmental benefits that connectivity could provide to many millions of their compatriots – the most oft-quoted and compelling statistic is from a study conducted by the World Bank which concludes that a 10% increase in broadband penetration rates would lead to a 1.38% increase in GDP in developing economies. They also know about ambition, for their citizens and their futures. African countries already have shown that they can rival or even surpass their industrialized counterparts when leveraging mobile technology: 3G connectivity enabled M-Pesa services in Africa, which allowed Kenya to grow financial inclusion amongst its poorest from 21% to 63% in just three years. Fast adoption of equipment and technical standards allowed some telecommunications deployments to move at twice the rollout speed of fully developed countries. Now, as 5G appears on the horizon, Africa’s policymakers realize that they need to move quickly to leverage its benefits and empower their citizens to spur innovation. IHS Markit have estimated that by 2035, 5G will enable $12.3 trillion of global output and make total contributions to global GDP equivalent to an economy the size of India’s. They also predict that by 2035, the global 5G value chain will generate output of $3.5 trillion and support 22 million jobs worldwide. This is in part because 5G will boost the competitiveness of local businesses, allowing Africa to compete regionally and on a global level. African policymakers also know that 5G networks can enable a long-term digital transformation and contribute to the emergence of smart societies across Africa. 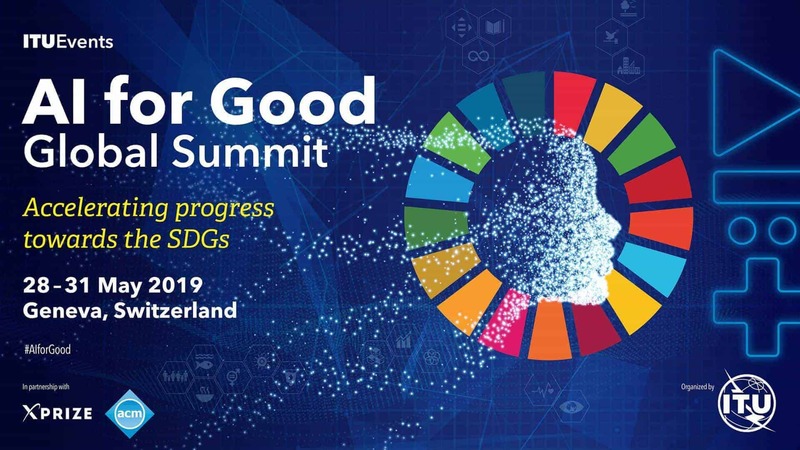 Unlike legacy networks, the technology will enable much greater access to big data sets and the capacity, speed and reliable connections needed to realize the UN’s Sustainable Development Goals on a national and regional basis. Innovative uses of 5G in healthcare and education will help educate the 60% of African teens between the ages of 15 and 17 who are out of school and will extend the reach of healthcare workers to a continent where only 3% of the world’s health workers reside. Implementation of 5G and reaping the benefits it confers requires technology enabling infrastructure; no services are possible without the infrastructure in place. In Africa, that can often prove difficult. The African Development Bank estimates that poor infrastructure shaves up to 2% off Africa’s average per capita growth rates. For decades, most countries in the region have seen only minimal investment in legacy networks. It is no coincidence that many African countries experience regular power outages from the lack of investment in power grids, forcing companies to purchase expensive, carbon-negative diesel-operated power generators. Solving the “infrastructure versus services issue” remains an arduous task, akin to the “chicken and egg” conundrum. Many organisations and consumers are willing to pay for the services but not for the infrastructure. Although purveyors of 5G technologies need to look beyond Africa’s legacy of poor power grids and communication infrastructure, governments in the region should take the lead in addressing the infrastructure solutions as it is unlikely that the relatively nascent 5G market can provide a solution on its own in the near term. Companies should not be put off by the received wisdom that “the view from the ground remains challenging” in Africa. Despite a lot of commentary from those who seldom visit the continent, African regulators behave very much like their counterparts elsewhere in the world: they frequently levy fees designed to raise revenue or protect incumbents, they opt for analysis that favors their perspective of the moment, they seek to understand how new market entrants will affect market structure, and have some clear requirements in respect of access to communications and data. Like invasive species, these are not practices that were born in Africa. Being open to infrastructure investment from those who also stand to make a return on it: the corollary to this is to be suspicious of investment terms that seem too generous or that accrue to a far-away sovereign power. Experimenting and inviting innovation: this brings investment to the country as a testbed, and fosters a can-do, flexible regulatory regime that can be tightened up once 5G is enabled. Choosing technologies that do more than one thing: where solutions exist to drive pico- or nano-cell development and enhance the reach of the power grid, pick them. Demanding more from infrastructure providers: partner with those who have solutions that are not just for the 20% of your urban population who pay enormous data and voice bills and with those that have made, or are willing to make, investment in smart-city know-how, rural broadband solutions, and long-lived, ruggidized solutions that are geared to the African market. Leapfrogging policy decisions and technology: draw on pioneering policymaking to make the case for greater antenna density that is at the heart of realizing 5G. If there is anything left to tell African policymakers after we have all proffered our advice, it is to be bold, demanding and to remain ambitious. Much of the private sector has quietly felt bullish about Africa’s ICT industry for a long time. Now is time for those with the right 5G solutions to show it. Ravi will be speaking at the Forum session “Leapfrogging to 5G?” on Monday 10 September at ITU Telecom World 2018. Ravi Suchak is a telecoms regulatory and policy specialist with extensive international experience, particularly in emerging and frontier markets. He leads American Tower’s Public Affairs function in EMEA with overall responsibility for government relations, public policy, regulatory, crisis management, corporate communications and CSR in the region. The original version of this article first appeared on ITU Telecom World 2018. Views expressed in this article do not necessarily reflect those of ITU.